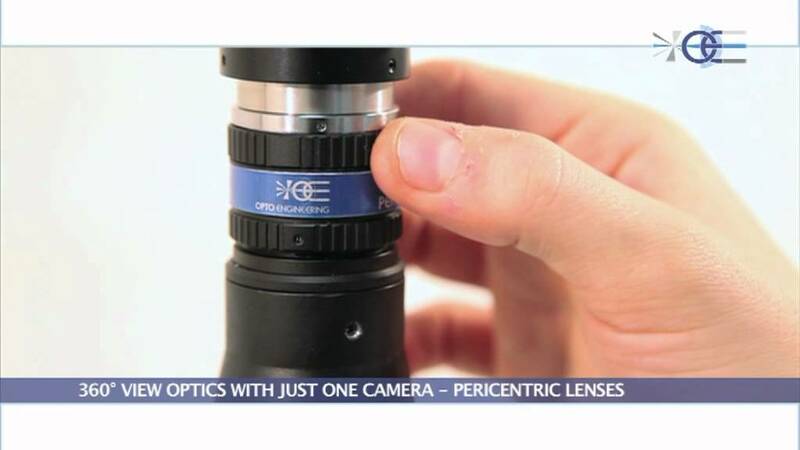 Opto Engineering Polyview lenses provide 8 different views of the side and top surfaces of an object. A wide perspective angle (45°) makes these components suitable for the inspection of the side features of an object (i.e. the threads of a screw or a nut) otherwise impossible to image with a single camera. Both the external walls of an object and its top can be imaged at the same time. Internal surfaces of holed objects can be completely inspected from the outside. A combined view of the internal and external surfaces is possible and an image displaying both the inner walls and the bottom of a cavity can be obtained. In addition to these unique features, Polyview optics also grant a very high image resolution and very good image brightness.